Kevin Francis Sullivan (born October 26, 1949) is an American professional wrestler and booker, perhaps best known for his role in World Championship Wrestling. Sullivan had been an amateur wrestler in the Boston area, and was not trained professionally. His first professional match was in Montreal, beating Fernand Frechette. Sullivan wrestled as "Johnny West" in the National Wrestling Alliance's Gulf Coast Championship Wrestling in the early 1970s, capturing the NWA Gulf Coast Tag Team Championship with Ken Lucas, defeating Jack Morrell and Eddie Sullivan on March 11, 1971. Next, he went to Championship Wrestling from Florida (CWF) in 1972 and captured the NWA Florida Tag Team Championship with Mike Graham. He then went north to join the World Wide Wrestling Federation (WWWF) as a mid-card face from 1974 to 1977. He had a (rare for the time) face versus face battle with Pete Sanchez on a Madison Square Garden undercard. Sullivan also wrestled as a face for promoter Roy Shire's Big Time Wrestling in San Francisco. Wrestling for Georgia Championship Wrestling, Sullivan and partner Austin Idol challenged The Fabulous Freebirds for the NWA Georgia Tag Team Championship in November 1980. Sullivan also worked in CWF as a face until the early 1980s. His first heel run was in the Memphis territory where alongside Wayne Ferris (The Honky Tonk Man) and manager Jimmy Hart he battled the local faces including Jerry Lawler. He left Memphis for Georgia but again turned heel while in the Georgia territory before returning to Florida again to work for Eddie Graham. Known as the heel "Boston Battler", Sullivan's "The Prince of Darkness" gimmick started during this time. In CWF he became associated with "Maniac" Mark Lewin (Purple Haze), Mike Davis, Bob Roop, The Lock and Luna Vachon and others as the Army of Darkness. His biggest rivals during this time included Dusty Rhodes, Barry Windham, and his former partner Mike Graham. Sullivan split his time with International Championship Wrestling and brought the devil-worshiping gimmick there, along with Lewin and Roop. He had the Fallen Angel as his valet, who later became known as Woman. Sullivan was the top heel in ICW when the company first went national and had noted feuds with Austin Idol, Superstar Billy Graham, Bruiser Brody, Joe Savoldi and Blackjack Mulligan. Sullivan formed The Varsity Club upon arrival in Jim Crockett Promotions with Mike Rotunda and Rick Steiner. They immediately started feuding with Jimmy Garvin because Sullivan wanted Garvin's wife Precious for himself. This feud lasted a while with Sullivan kayfabe breaking Garvin's leg at one point. Steiner left the group and was replaced by "Dr. Death" Steve Williams and Dan Spivey. They feuded with Dusty Rhodes, The Road Warriors, Rick Steiner and Eddie Gilbert. Sullivan even attacked Gilbert's wife Missy Hyatt. By late 1989, the Varsity Club was gone, and Sullivan formed Slaughterhouse with Cactus Jack and Buzz Sawyer to feud with Rotunda. Sullivan took time off in late 1990 and returned in early 1991 as the manager of One Man Gang, Black Blood, and the Angel of Death. They cut El Gigante's hair and had a brief feud. Sullivan also was the masked Great Wizard briefly to manage Oz. After his contract with WCW expired in August 1991, Sullivan worked in Japan, participating in FMW where he wrestled against Atsushi Onita with Ed Farhat, and later moved on to compete in W*ING. In early 1993, Sullivan and Woman went to Eastern Championship Wrestling, where he teamed with The Tazmaniac. The two won the ECW Tag Team Championship and feuded with The Public Enemy. Sullivan also had a bloody feud with Abdullah the Butcher. Sullivan left ECW behind and headed to World Championship Wrestling in spring 1994. He formed a tag team with his kayfabe brother Dave Sullivan, a dyslexic character who was being picked on by The Nasty Boys (Jerry Sags and Brian Knobs). He enlisted Cactus Jack's help and beat them for the Tag Team Title. Dave was injured and out of action for a while and Sullivan split with Cactus after losing the titles. Sullivan defeated Cactus in a Loser Leaves WCW match at Fall Brawl. Dave came back and dressed like his idol, Hulk Hogan. This infuriated Kevin, who hated Hogan, and they started feuding. Kevin brought in Hogan's best friend, Ed Leslie, as The Butcher, to help him with his feud against Hogan. He also brought in Avalanche and called the trio The Three Faces of Fear. They feuded with Hogan, Randy Savage and Sting. In early 1995, after not being able to end Hogan's career, Avalanche left the group and Sullivan turned on The Butcher. The Dungeon then feuded with the Four Horsemen, and Sullivan acquired a certain disliking for Brian Pillman. Once Sullivan sent Pillman packing, the Dungeon and the Horsemen joined forces again to get rid of Hulk Hogan and his friends and formed the unsuccessful Alliance To End Hulkamania. Afterwards, Sullivan and Horseman Chris Benoit began a feud much like Sullivan had with Pillman. This feud lasted for over a year however, with Benoit "stealing" Woman from Sullivan. Sullivan brought in Jacquelyn to help him and also added Konnan to the Dungeon. Sullivan lost a retirement match to Benoit at Bash at the Beach on July 13, 1997. This loss gave him more time to concentrate on his job as booker. Sullivan stayed on as the booker or a member of the WCW booking committee and made a brief on-screen appearance with the reformed Varsity Club of Mike Rotunda and Rick Steiner with their cheerleader, Leia Meow. After a couple of months, he was back off television. In 2000, after the demotion of Ed Ferrara and Vince Russo (and subsequent departure of the latter), the resulting chaos led to Sullivan's promotion to head booker. This move infuriated a number of WCW wrestlers, given Sullivan's history of professional rivalries with Benoit (Benoit had an affair with Nancy Sullivan and later married). Benoit, Dean Malenko, Eddie Guerrero and Perry Saturn would quit the night after, immediately signing with the World Wrestling Federation. Sullivan was fired before WCW's sale in 2001. In 2010, Sullivan appeared as one of the main subjects in the feature length documentary film Card Subject To Change. In 2012 he started wrestling in the Pacific Northwest with his nephew Dash Venture and Ron Von Hess. Together they won the AIWF World Six-Man Championship. On April 28, 2012 Sullivan made a surprise appearance, initially under a mask, during the Shane Douglas vs. 2 Cold Scorpio match at Extreme Reunion in Philadelphia, Pennsylvania. On March 8, 2013 Sullivan appeared in Nitro, West Virginia where he reunited with Dash Venture Sullivan in his corner as he faced Ron Mathis. On July 7, 2013 Sullivan appeared at Supercon in Miami as himself to sign autographs. He appears as himself in the opening wrestling sequence of the 2013 film Pro Wrestlers vs Zombies during APWA Wrestling Pile Driving Drugs II. He wrestled in a tag match teaming with Barbarian and was managed by Don West. They would defeat Beastman and Jock Samson. 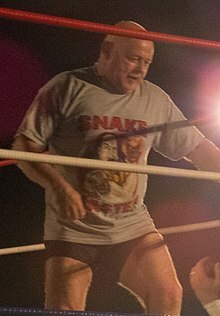 In May 2014, Kevin Sullivan began working for promoter Don West with the American Pro Wrestling Alliance and is the current booker for the promotion. Kevin put Don over, passing him the torch, saying that he would be darker than he ever was. Kevin is mentoring him as the manager for The First Family in the APWA with The Barbarian, Ricky Reyes and the Turkana Warrior. On June 26, 2014, Sullivan teamed with Ace Perry and Christian Skyfire to defeat John Wayne Murdoch, Reed Bentley and Tripp Cassidy in the Main Event of an Evolution Pro Wrestling event. He has also teamed with Ron Von Hess in Washington's SCW Reloaded promotion and serves as his advisor. He refers to Ron as his nephew in promos and Hess still calls him Uncle. They are, as of June 2014, undefeated as a tag team. He is podcast host for MLW Radio. He co-hosted a free show with Mister Saint Laurent called MSL & Sullivan until early 2018 and continues to host a premium show called Kevin Sullivan's Helluva Deal. On June 24, 2016 Sullivan made a surprise appearance during an Unsanctioned Fight Without Honor match at Ring of Honor's Best in the World '16 between Steve Corino and BJ Whitmer. Sullivan helped Whitmer win the match by striking Corino's head with his signature golden spike. He then formed an alliance with Whitmer and "Punishment" Damian Martinez in which Whitmer is billed as his second "son," and started terrorizing Corino as his "first son" for not letting his evil side out. Sullivan was married to Debra Stokes from 1970 to 1984. They had 3 children. Sullivan married Nancy Toffoloni in 1985. In an example of life imitating art, Sullivan's wife Nancy left him in favor of his rival, Chris Benoit, in 1997. The situation began in late 1996, when Sullivan conceived a storyline angle in WCW where Nancy, who under the ring name Woman was his manager, would leave him for Chris Benoit. Sullivan insisted that the two should travel together, share hotel rooms and hold hands in public to preserve kayfabe for the general public and to make the affair look real, but the storyline affair between Chris and Nancy became real in early 1997. Nancy ultimately married Benoit in November 2000. As a result, Sullivan and Benoit had a contentious backstage relationship at best, and Benoit defeated Sullivan in a Retirement match at Bash at the Beach in July 1997. Benoit did, however, admit to having a certain amount of respect for Sullivan, saying on the DVD Hard Knocks: The Chris Benoit Story that Sullivan never took undue liberties in the ring during their feud, even though he blamed Benoit for breaking up his marriage. Sullivan later publicly paid tribute to Chris and Nancy after their tragic deaths in June 2007. In April 2006, Sullivan married Samantha Connor. They have a son. 1Although Sullivan and The Tazmaniac won the title twice, only their first reign is recognized officially by WWE. The reign also occurred prior to ECW's withdrawal from the NWA and prior to ECW declaring their tag title a "World" title. ^ Schramm, Chris (June 25, 2007). "Looking back on the career of "Woman"". Slam! Sports. Canadian Online Explorer. Retrieved May 14, 2018. ^ a b "Cagematch profile". Cagematch.net. Retrieved 2015-03-28. ^ WWE (13 September 2012). "All-Star Wrestling from 1/7/76 PT 4 of 5" – via YouTube. ^ Randazzo V, Matthew (2008). Ring of Hell: The Story of Chris Benoit & the Fall of the Pro Wrestling Industry. Phoenix Books. p. 210. ISBN 978-1-59777-622-6. ^ KJ Parker (1 January 2010). "Kevin Sullivan Shoot Interview - Pt. 1" – via YouTube. ^ KJ Parker (2 January 2010). "Kevin Sullivan Shoot Interview - Pt. 2" – via YouTube. ^ "Pro Wrestlers vs Zombies". 28 March 2014 – via IMDb. ^ "PWI 500 1994". The Turnbuckle Post. Archived from the original on 2012-07-26. Retrieved 2012-08-26. ^ "PWI 500 of the PWI Years". Willy Wrestlefest. Retrieved 2012-08-26.